"These recordings pull back a curtain to reveal the mysterious world of Syntoma and early-80s underground Mexico. Founded by Alex Eisenring in 1980, making use of synths and drum machines and driven by a freedom-seeking DIY ethos but informed by a "rock-jazz-prog-experimental" background. These 70s-born influences throw crazed funhouse mirror reflections onto later Kraftwerk, UK synth-pop, post-punk and pure pop forms. The first five tracks are instrumental, evidencing some intelligent melodic and harmonic conceptions; the same can be said for the remaining female/male vocal tracks, but the sense of otherness is boosted as the vocal stylings combine a definite UK 80s feel with an unplaceable geo-temporal essence, spanning decades and continents. 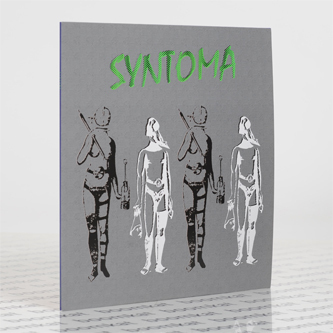 Primarily a trio during the period of these recordings, 1981-84, Syntoma transcends the era and stands apart from their peers with a surprising melodic sense, harmonic adventurousness, interesting arrangements and, above all, an atmosphere of freshness and enthusiasm."